co-hosting team of the main host of the show on the show. Non Speaking. 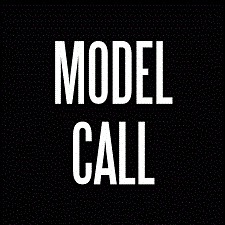 Looking for all ethnicities, males model types age range of 18-30..good looking, fit, model types, articulate and have stage presence. Casting in beach attire, very modern, cool, etc. 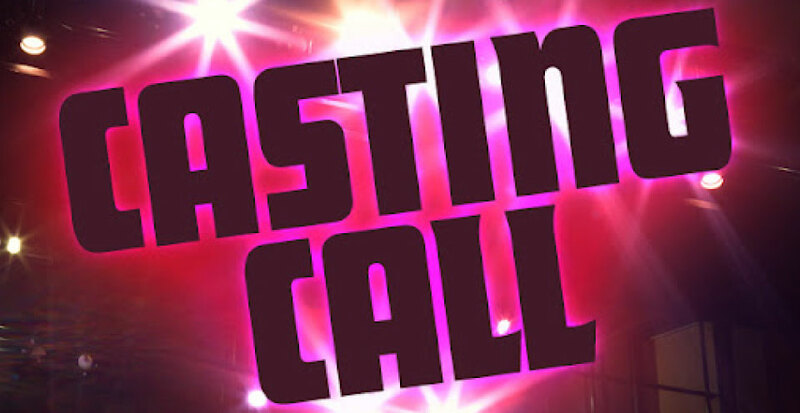 Casting will be Friday January 30 starting at 9am in Doral area. Send your best pics and contact if avail to attend casting. 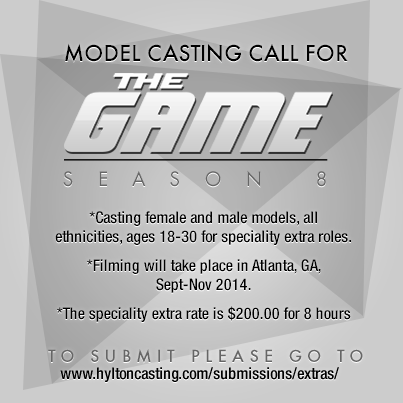 We are currently casting female runway models to work as featured extras in a high end party scene on the TV Series “The Game” Season 8. 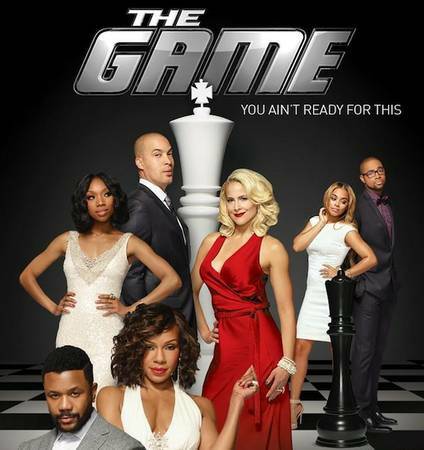 Filming will take place in Atlanta, GA, Monday 11/24/14. -You must also be available to attend a Casting Session on Thursday, 11/20/14. 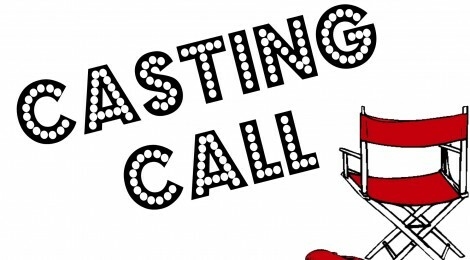 To submit, please visit: http://hyltoncasting.com/submissions/extras/. Please list “Runway Model 11/24” as the role you are applying for. INTERESTED IN WORKING AS A BACKGROUND ACTOR WITH CENTRAL CASTING? IF SO, YOU MUST BE ACTIVELY REGISTERED WITH CENTRAL CASTING TO BE ELIGIBLE TO SUBMIT FOR ANY CENTRAL CASTING JOB. In order to be registered with Central Casting, you MUST come in to our office, attend our orientation and complete the appropriate paperwork. Your status remains active for 3 years from your registration date. If your status becomes inactive and you are eligible to re-register, you must come in to our office to update your registration paperwork before you are eligible to submit for any Central Casting job. If you are unsure of your status, please call 646-205-8244, ext. 4. PLEASE NOTE: Central Casting is not affiliated in any way with any third party agency.